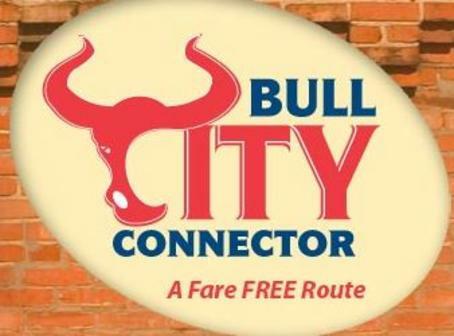 The Bull City Connector is a fare-free bus service that runs along Main St. and Erwin Rd., connecting many of Durham's central destinations, including Duke University, Ninth Street, Downtown Durham, and Golden Belt. Busses run from M-F, 6:30am-9pm; Sa,10am-9pm. Busses operate on a 17 minute schedule. Business Hours: M-F, 6:30am-9pm; Sa-Su, 10am-9pm. Runs every 17 minutes. No holiday service except New Year's Eve where service will be provided until 2am.